Ambassador Anderson was born in Clonmel, County Tipperary and was appointed as Ireland’s 17th Ambassador to the United States in August 2013 after serving in the Department of Foreign Affairs for more than 40 years. Following a range of assignments at home and abroad, she took up her first posting as Ambassador in 1995. Prior to her current assignment in Washington, D.C., she has served as Ireland’s Permanent Representative to the United Nations in New York (2009–2013); Ambassador to France (2005-2009); Permanent Representative of Ireland to the European Union, Brussels (2001-2005); and Permanent Representative of Ireland to the United Nations, Geneva (1995-2001). She holds a B.A. in history and politics from University College, Dublin, and a diploma in legal studies from Kings Inn, Dublin. Ambassador Anderson has undertaken a wide range of responsibilities in her assignments to date. Highlights of her multilateral work have included chairing the UN Commission on Human Rights (1999) and heading the Irish team in Brussels during Ireland’s E.U. Presidency in 2004 (she was awarded European Voice “Diplomat of the Year” in recognition of her Presidency role). During her New York assignment, she oversaw a review of the UN Peace-building machinery and was tasked by the President of the General Assembly with facilitating preparations for the 2013 UN Special Event on the Millennium Development Goals. 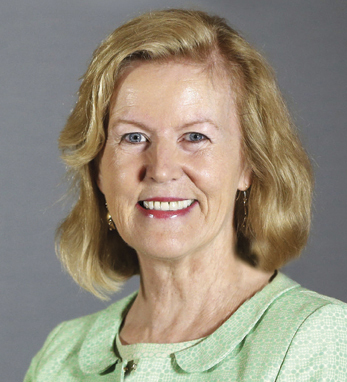 A full profile of Anne Anderson appears here in the June / July 2016 issue of Irish America.